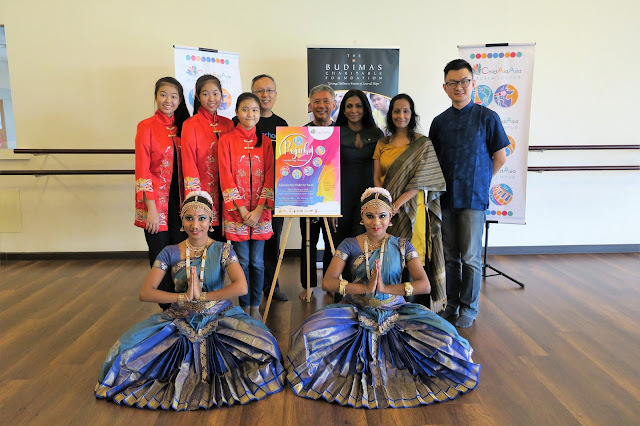 Today, The Budimas Charitable Foundation and Suntory Beverage & Food Asia Pte Ltd are proud to be supporting the 6th edition of the ChildAid Asia Kuala Lumpur’s (CAAKL) Concert series that will take place on the 25th and 26th of August 2018 at Kuala Lumpur Performing Arts Centre (KLPAC) with a truly fascinating theme this year, “Rojak…Celebrating Diversity”. The announcement of ticket sales and unveiling of the concert poster took place today at Studio 5, KLPAC. 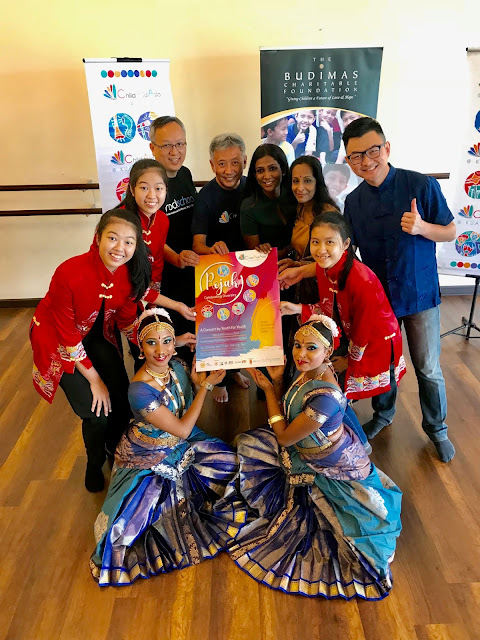 Similar to the years before, the annual fundraising concert strives to touch the lives of underprivileged children by uniting talented youths from Singapore, Japan, Indonesia and Malaysia to raise funds for economically disadvantaged children whilst showcasing their skills. Rockschool International, the international popular music organisation also came forward to show their support via special concessions and programmes for the less fortunate children. “Many generations in Malaysia grew up with BRAND’S® and Ribena® products and we are pleased to have helped bring happiness and wellness into our consumers' lives. It is with the support of our consumers that we are able to work with CAAKL and be one step closer to achieving our corporate vision of ‘Growing for Good’. Our dedication to giving back to society goes hand-in-hand with CAAKL’s efforts in grooming a new generation of artistic talent. Much like this year’s theme ‘Rojak’, the exposure to and collaboration of different cultures at CAAKL also helps the children build up their communication skills and in turn strengthen their confidence, be it on or off-stage. We could not be more proud to make a positive impact on these young talents,” said Mr Kazuhiro Saito, Chief Executive Officer of SBFA. 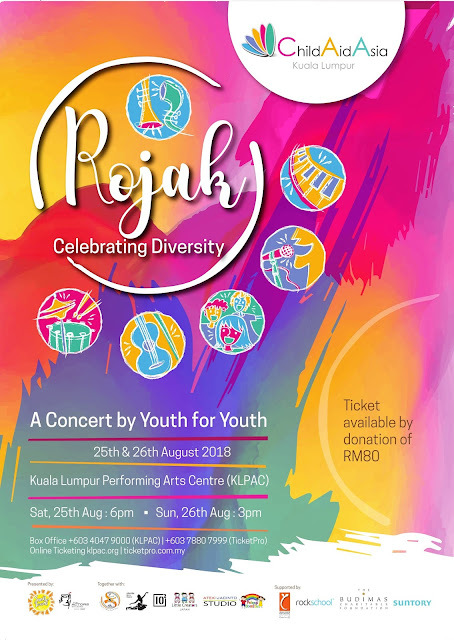 “Rojak…Celebrating Diversity“ ChildAid Asia’s Concert will take place at Pentas 1, Kuala Lumpur Performing Arts Centre (KLPAC), Sentul, Kuala Lumpur. There will be two performances, at 6pm on August 25th and 3pm on August 26th where ticket are available by donation of RM80.